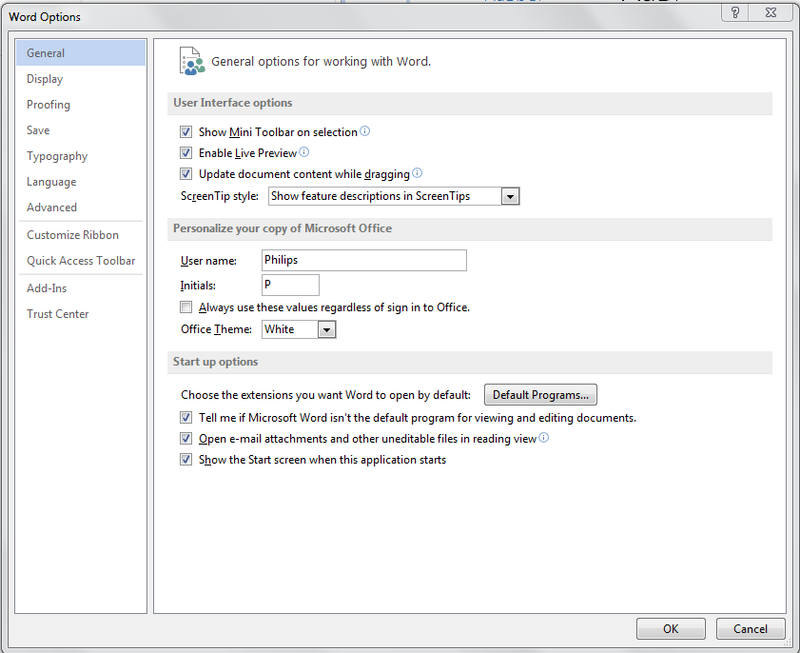 Open the Office program you wish to disable the start screen function. Click the File tab at the top left of your screen. Scroll down and click the Options in the vertical menu on the left side of your screen. Under General section, looks for Startup options and uncheck the box next to the Show the Start screen when this application starts. 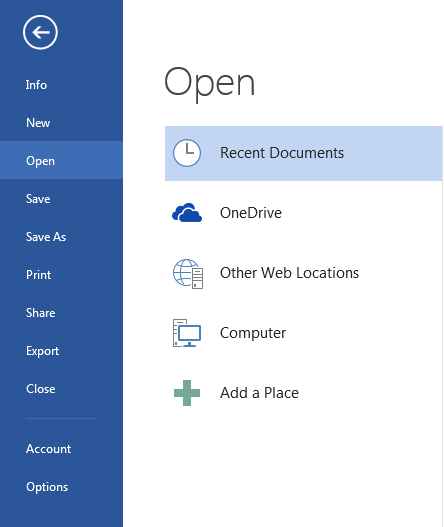 From now on, you can directly open a new blank document every time when you open the app. You can repeat the steps above to disable the start screen for the other Office programs or change back the setting by recheck the startup options box when you change your mind.